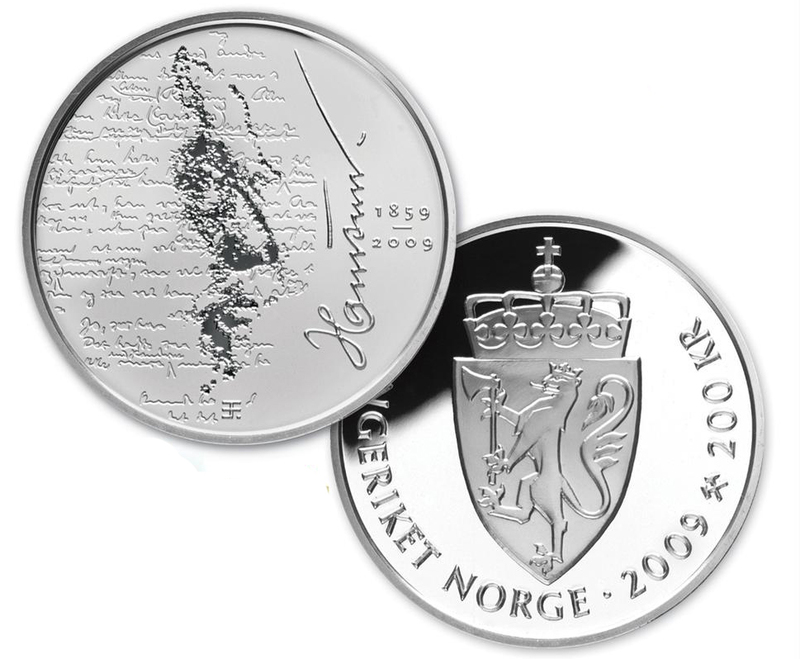 Jubilee and commemorative coins pursuant to Section 16 of the Norges Bank Act. These are gold and/or silver coins and are not regarded as circulation coins. 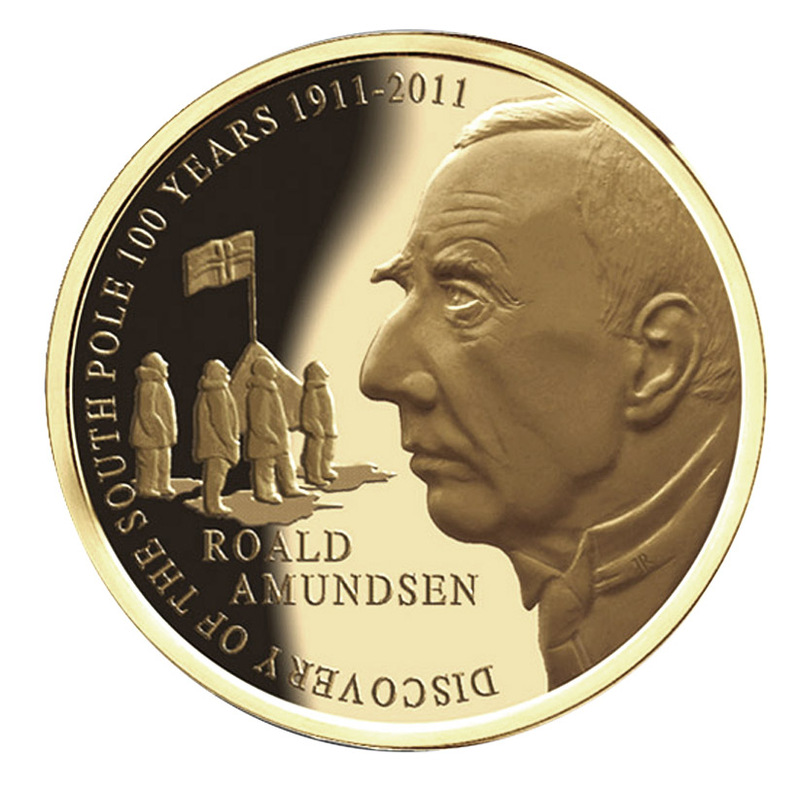 On December 14th 1911, Roald Amundsen was the first human being to reach the South Pole. 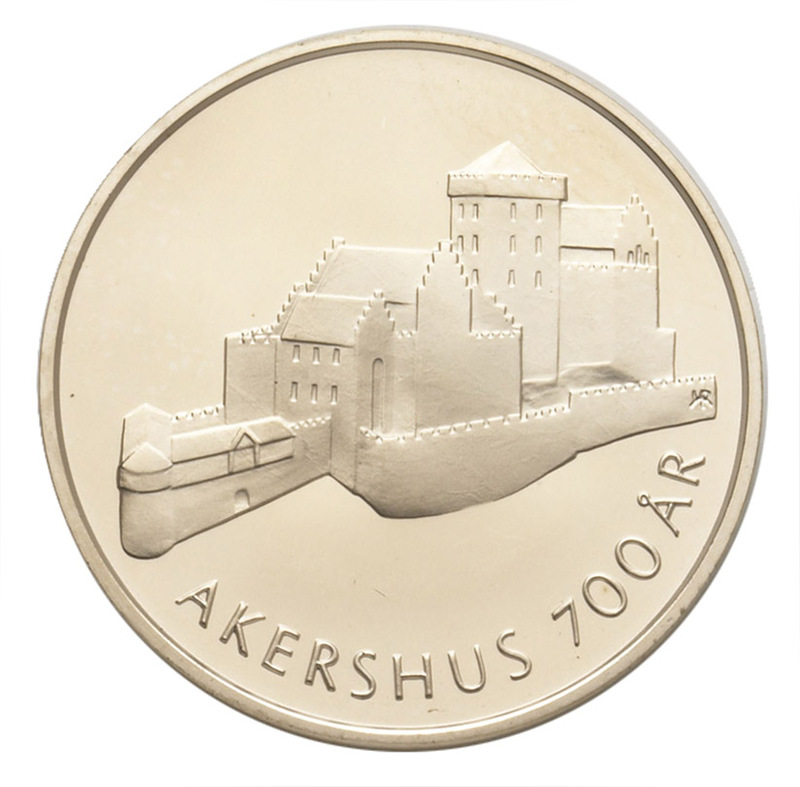 This 50 € gold coin concludes our mini series that includes the 10 euro coin issued in Mai of this year. 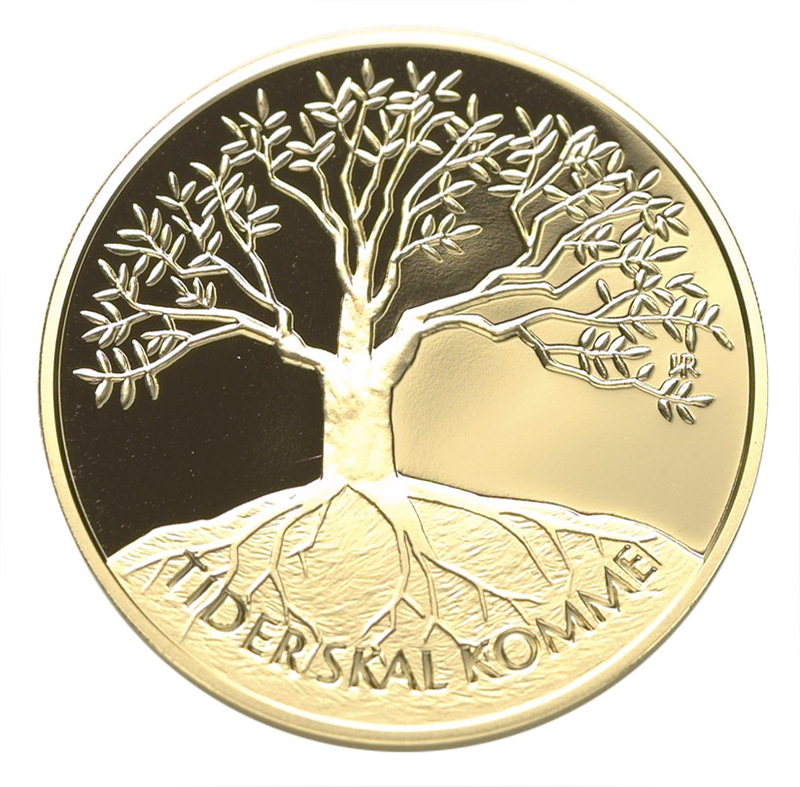 The obverse of this coin was designed by Ingrid Austild Rise, the reverse by Luc Luycx. 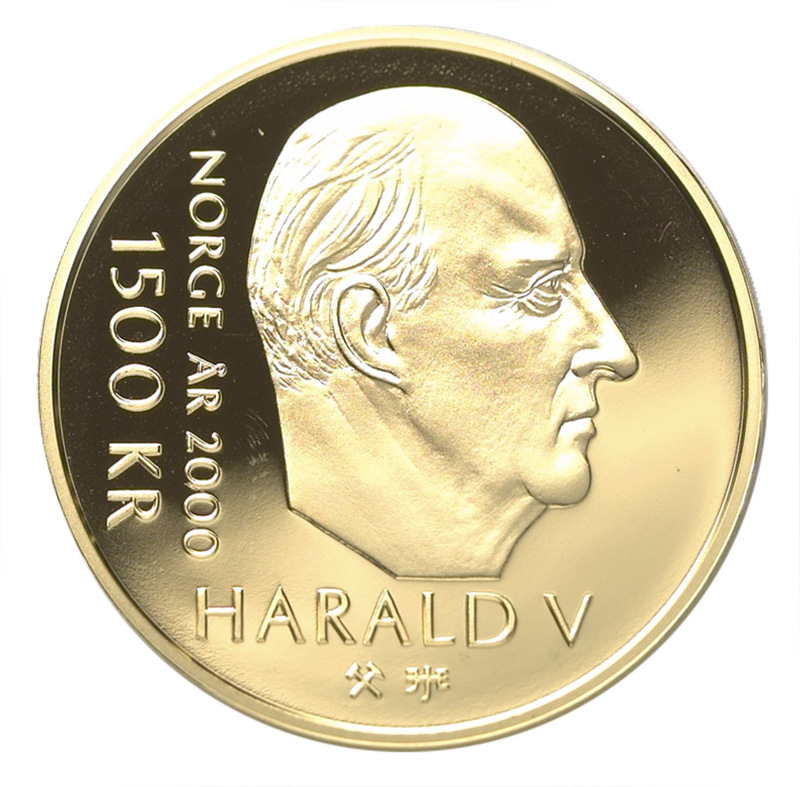 ‍200 kr Knut Hamsun 150 anniversary. 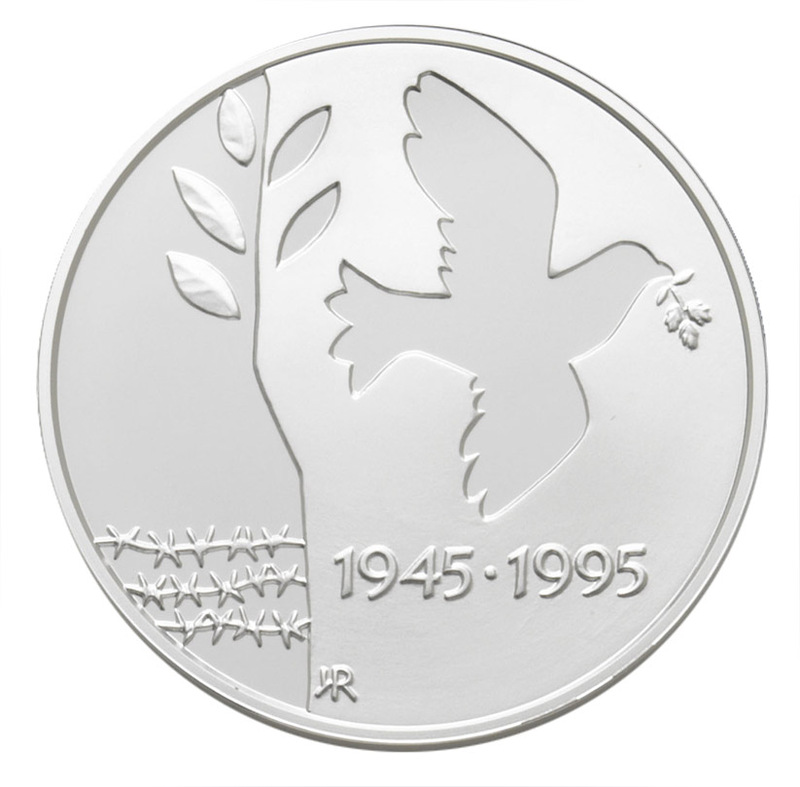 The reverse is designed by Enzo finger, created on the computer by me (IAR). The obverse is my creation. 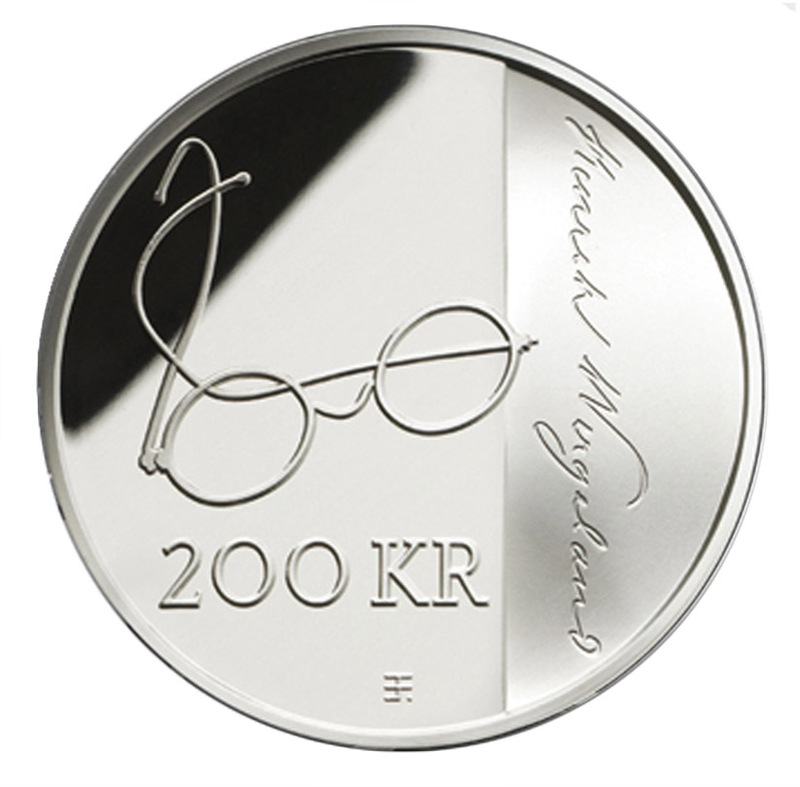 Henrik Wergeland 200 th Anniversary 2008, obverse. 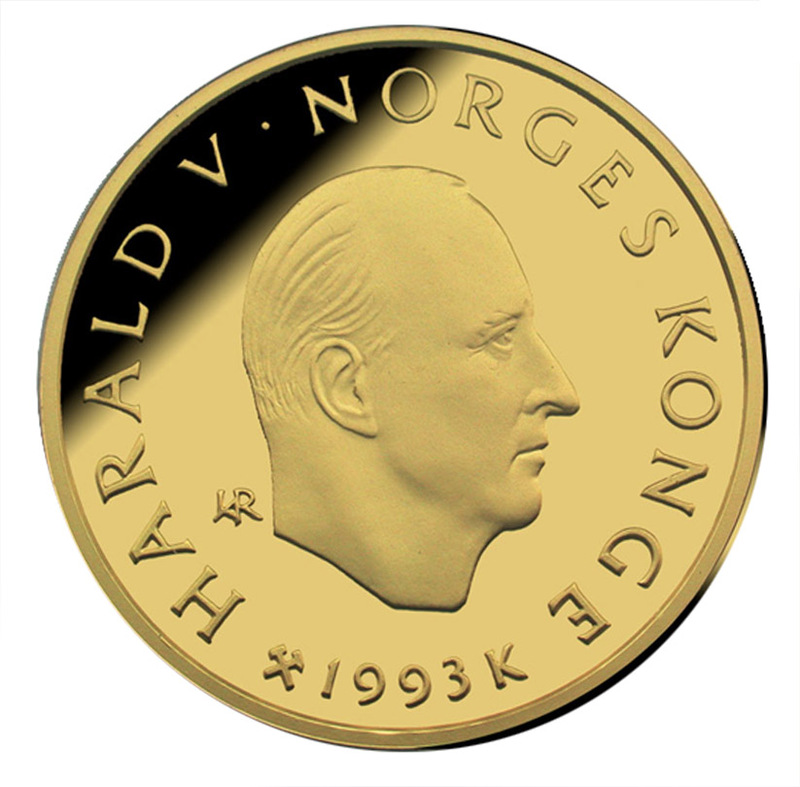 ‍The reverse was designed by Enzo Finger, created on computer by IAR. 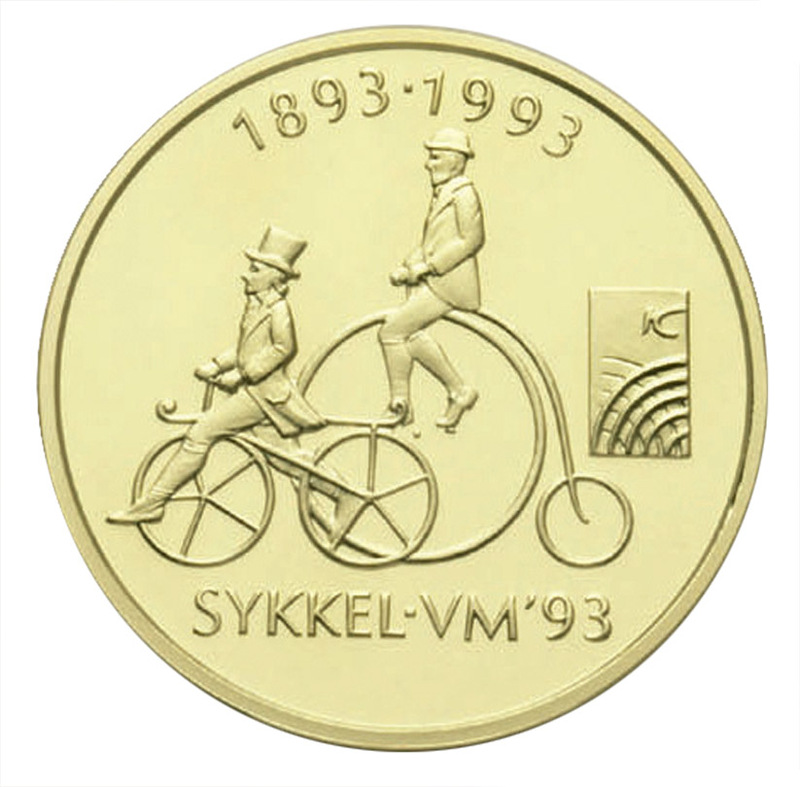 ‍For the Millennium celebration this 1500-krone commemorative coin in gold was issued in 2000. 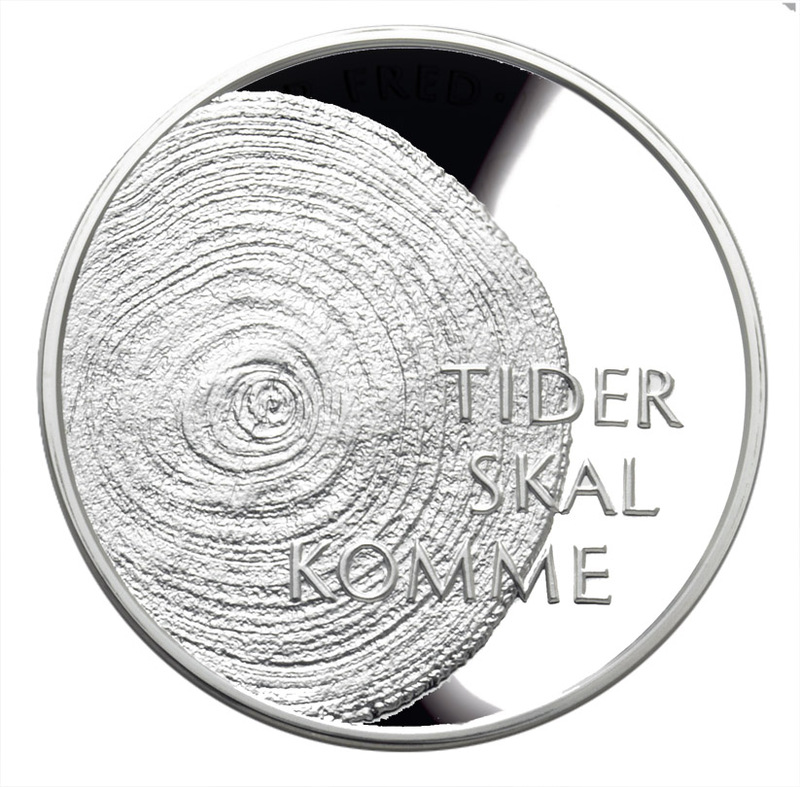 Text: TIDER SKAL KOMME (times will be coming) to the right between the leaves: the artists signature: IAR. ‍Reverse: Yggdrasil, the tree of the world; an immense ash, mythical tree that connects the nine worlds in Norse cosmology. The branches of Yggdrasil extend far into the heavens, and the tree is supported by three roots that extend far away into other locations; one to the well Urdarbrunnr in the heavens, one to the spring Hvergelmir , and another to the well Mimisbrunnr. 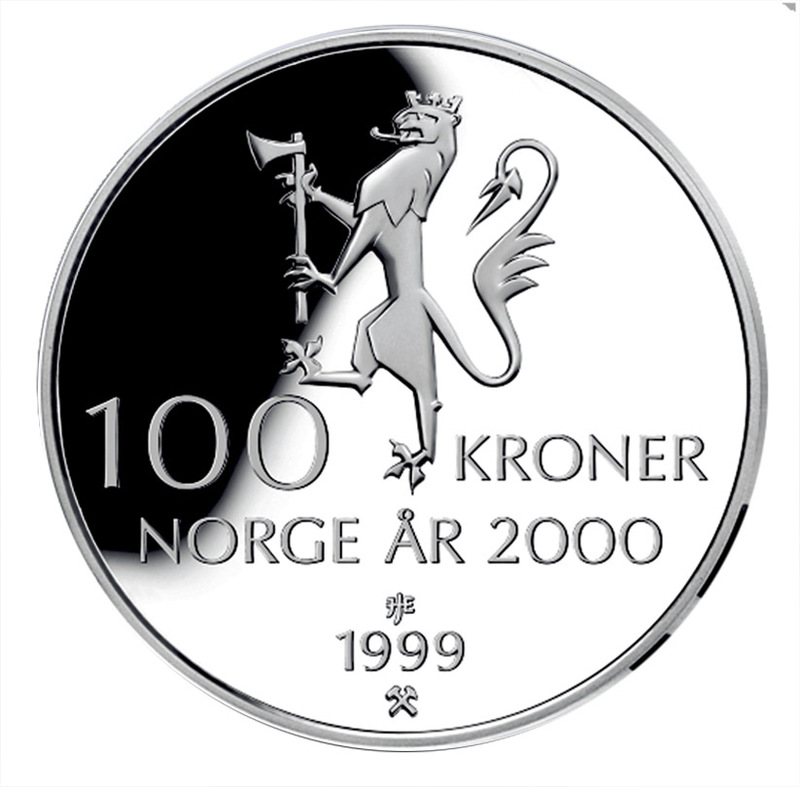 100 kr Millennium 2000. 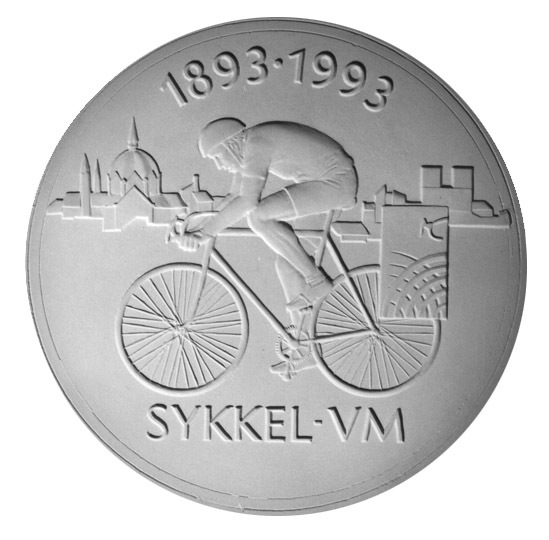 On this coin I did not place my signature on either of the sides since it would affect the design too much. 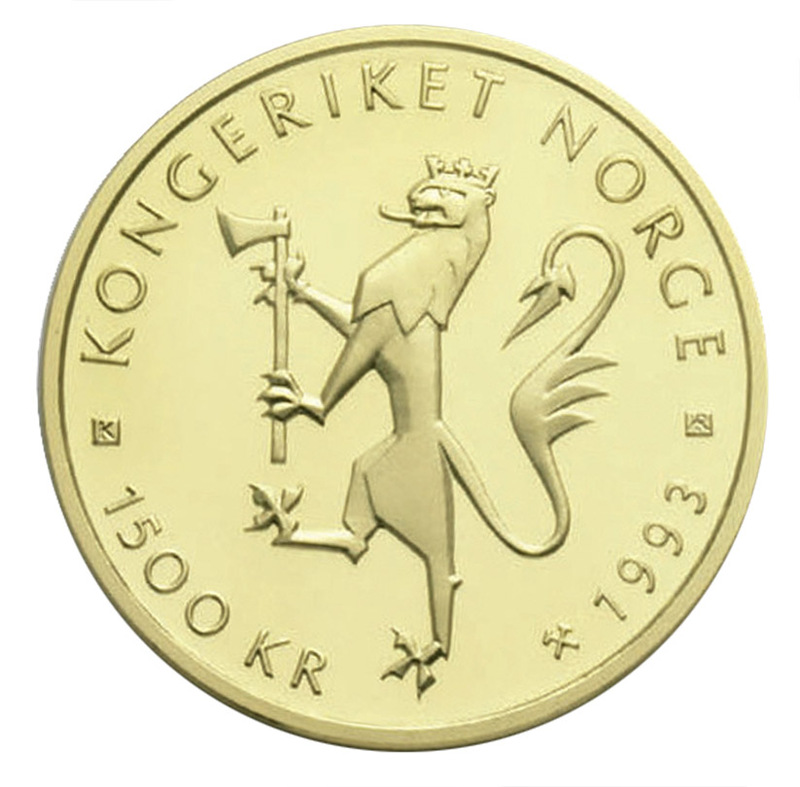 To mark the 50th anniversary of the Liberation, Norges Bank issued a 50-krone special edition commemorative coin in 1995.
obverse: The Lion of the Norwegian Coat of Arms. 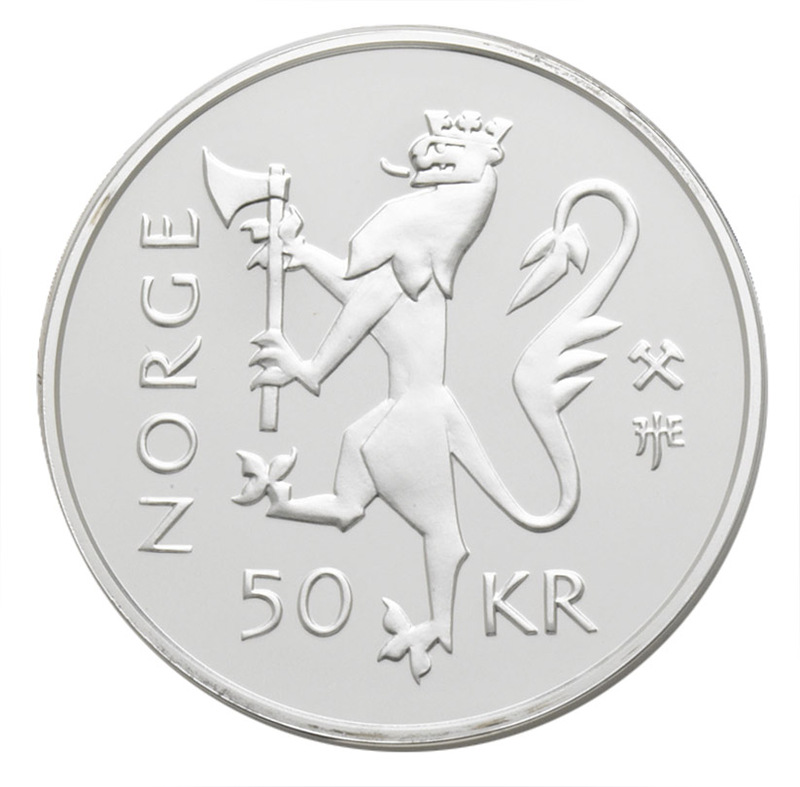 50 kr UN, reverse. The first Secretair General Trygve Lie 1995. 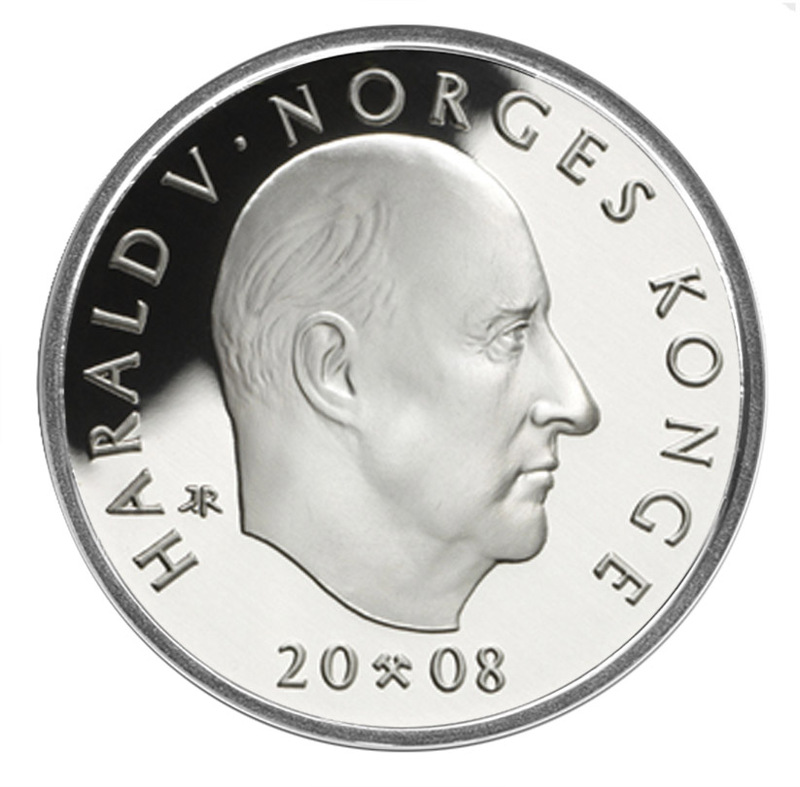 The obverse was created by Nils Aas. 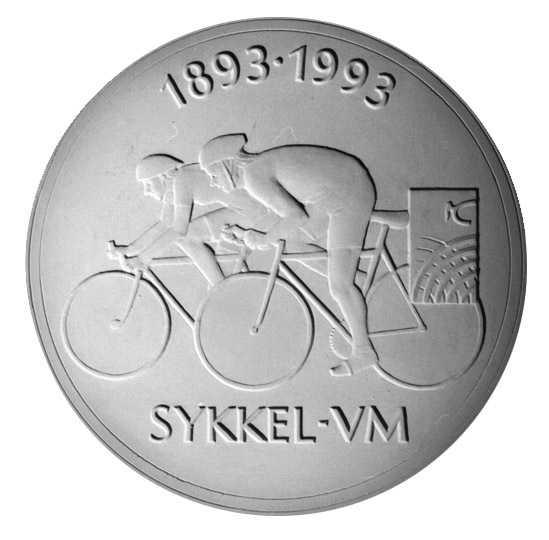 The UCI World Road Championship took place in Oslo 1993. 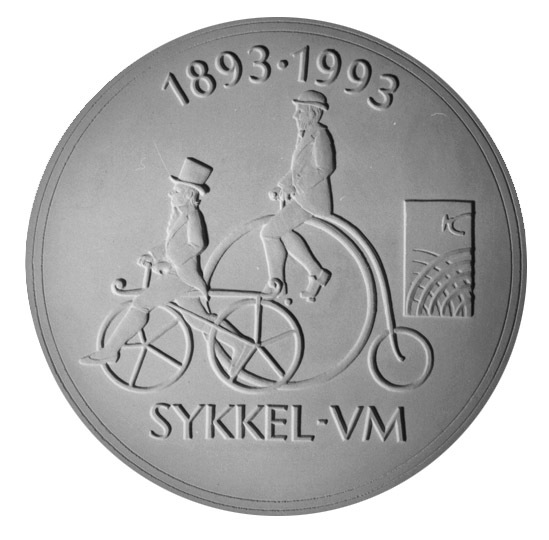 This coin was my winning contribution for the competition of the 1500 kr design. 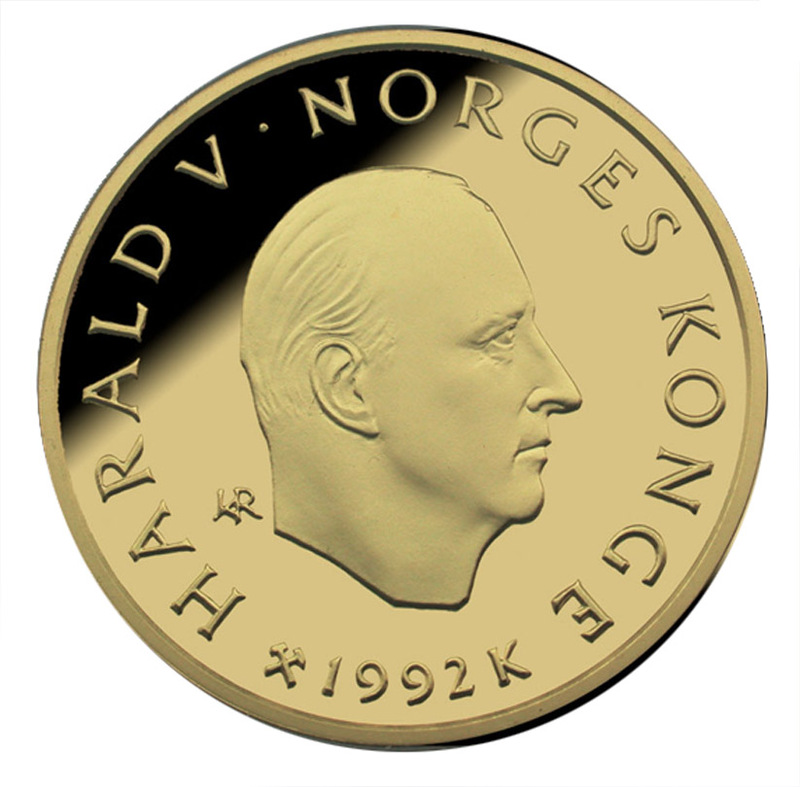 Rarity: Model 1, my contribution to the competition for the 100 kr coins. 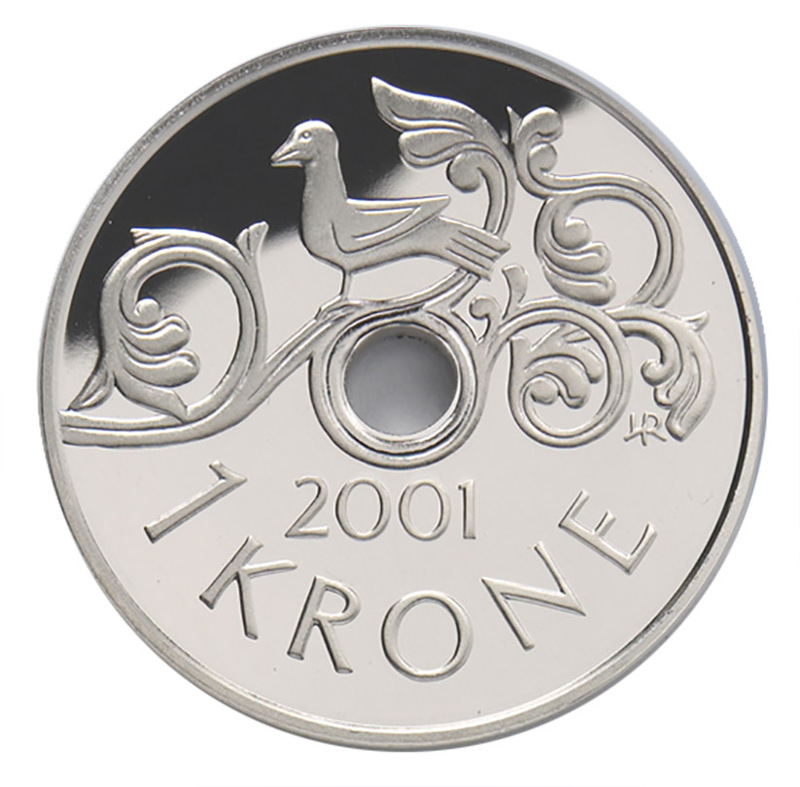 Rarity: Model 2, my contribution to the competition for the 100 kr coins. I am sure the winning designs by Marek Sobozinski are the best. The Olympic games at Lillehammer 1994. 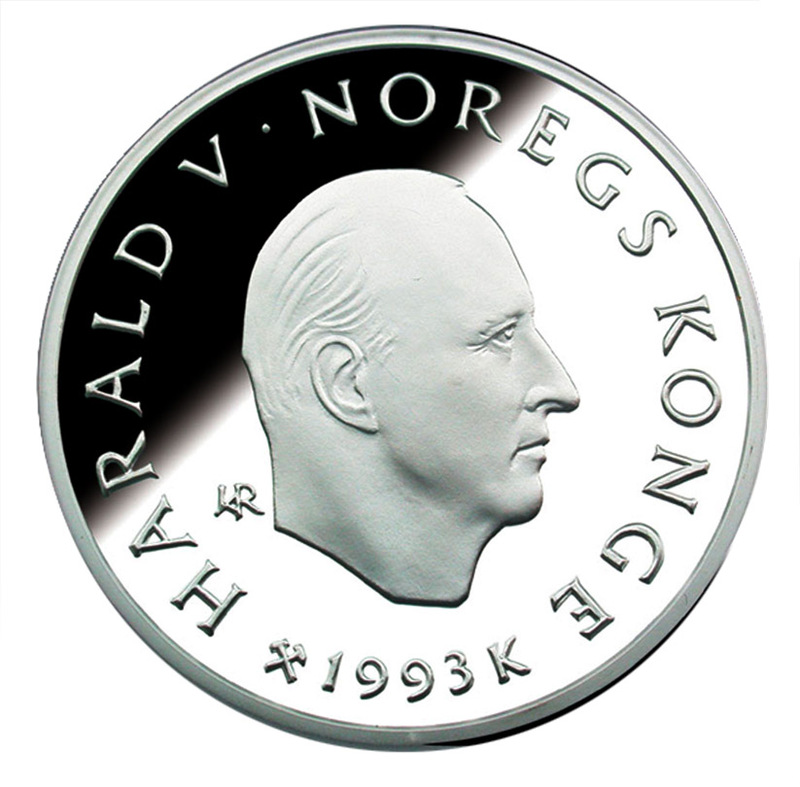 The obverse designs of H.M. King Harald V.
Obverse IAR. 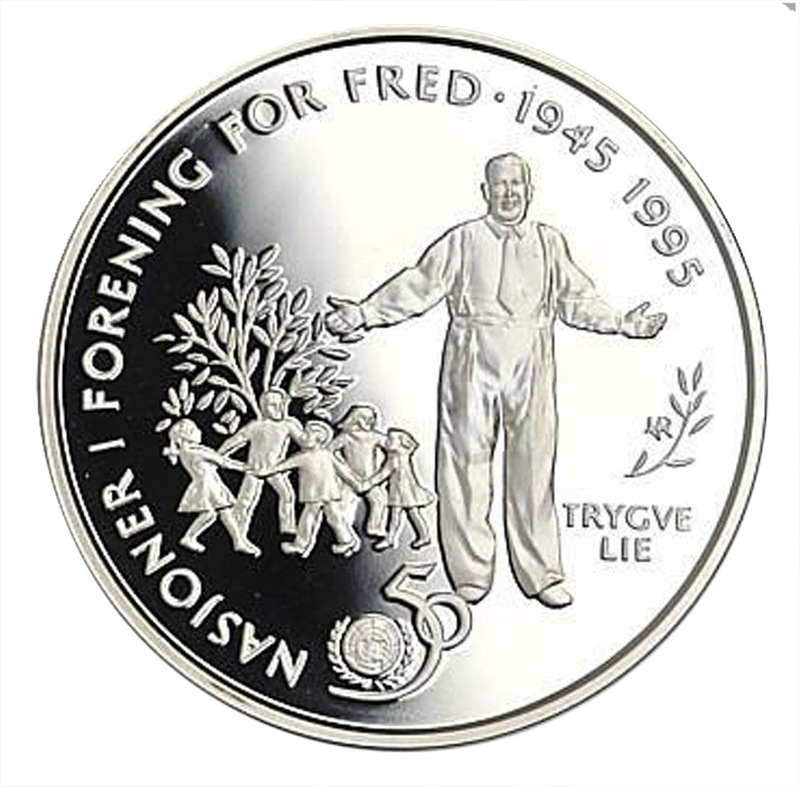 The reverse design Grandpa with child is designed by Tor Lindrupsen, created in plaster by IAR. the reverse design Children on a sledge is created by Tor Lindrupsen, modelled by IAR.